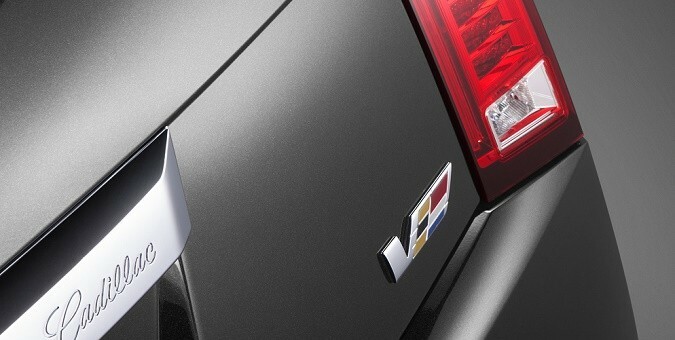 It only seems reasonable that with more incoming Cadillacs, there will be V-series editions coming with them. Good news, because Cadillac says more V-series models will find their way into the portfolio with time. The Detroit Bureau spoke with Dave Leone, Cadillac Chief Engineer, and he confirmed we will see more V products in the future. He also stressed that not every Cadillac will a see a true V-series, a smart move as to not dilute what the “V” badge has come to stand for. That means don’t hold your breath for an Escalade-V or SRX-V (XT5-V). Where can you expect to see the V nomenclature? The CT6 is being debated inside Cadillac as you read this. Executives are fighting the idea of a CT6-V due to the absence of an M7 model. But let’s not forget, the CT6 may be sized like a 7-Series, but it tips the scales as if it were a 5-Series. Plus, if Cadillac is looking for a distinct American edge, a CT6-V seems like a great addition to the V-series lineup. In fact, we rendered it not too long ago. Also expect an upcoming sub-ATS vehicle to wear a V-series badge once its ready for launch. Expect this model to compete with an S3 and CLA AMG, while remaining rear-wheel drive. As for the Escalade and incoming XT5, the SRX crossover’s replacement, a Vsport badge will likely find its way onto those nameplates, which Leone describes as a “more well-behaved” upgrade than a true V-series. The Vsport badge is also likely to appear on the ATS in the not-so-distant future. Are you ready for more Vs to join the likes of the 2016 ATS-V and CTS-V? Talk to us down below. Previous story 2016 Chevrolet Camaro To Have Corvette-esque Tail Lights? 1. We need AWD. There should at least be AWD on the Vsport models. It’s a huge deal breaker here in the northeast and anywhere else that sees snow. 2. What would an ATS Vsport be? If I were designing it, I would give it a tuned down version of the new 3.0 TT (Around 375hp and 375 lbft of torque) with AWD and magnetic ride control. 0-60 around 4.5 seconds. And one thing cannot be forgotten: the digital gauge cluster! Build that and I will be first in line for it. One cadillac exec was quoted a few months ago saying the ats vsport wouldn’t get new engines, but everything around it would be upgraded from suspension to the body and wheels etc. That Detroit Bureau site is really off the mark. They said the ATS-V has 400HP. Every one knows it has 464HP. How can a news outlet from Detroit of all places get that wrong? The ATS debuted January 2012 as a 2013 model, on sale by fall 2012. The ATS-V debuted fall of 2014 as a 2016 model, on sale summer/fall of 2015. That’s only 2 years. Completely agree Autopal, it has been way to long. They should have already done a ATS-V and a ATS-V Sport by this time. ATS convertible could also work. I say bring them on and furthermore bring them to Europe. I am so sick of M’s, AMG’s and S’s.